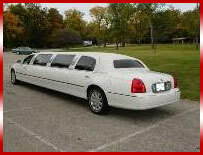 The Lincoln Stretched limousine is the most popular limousine vehicle that you will find available today. Made popular in Hollywood films, the Lincoln limousine is the 'classic' limo shape and is the standard that all other limousines are judged by. The Lincoln Town car remains one of Americas top selling luxury vehicles and is Americas most used limousine and chauffeured car. Never one to be left behind. 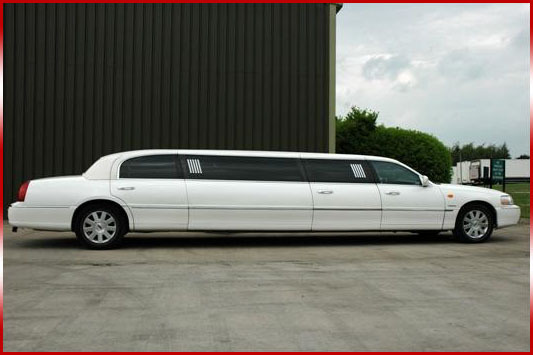 Midlands Limo Hire have added a Lincoln limousine to our fleet and the white Lincoln limo has proven a popular limousine for any event. 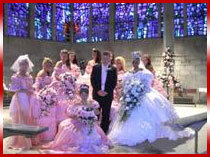 Perhaps you are looking for a suitable wedding vehicle or maybe a novel way to transport you and your friends on a big night out? The Lincoln limousine is a great way to add a little spice to any occasion and the perfect way to get everyone in the party mood. The interior of the Lincoln limo has been finished with luxurious leather seating and tinted windows, ensuring that you are whisked to your destination in one of the most comfortable limousines available. Complete with mirrored mini-bar, champagne flutes and ice tumblers, why not let us show you what it feels like to be a big Hollywood movie star? When you choose to hire a limousine from Midlands Limo Hire you will receive the highest level of customer service imaginable. Your chauffeur will be uniformed, polite and punctual. He will open and close the limousine doors behind you and will do everything that he can to make your limousine experience a memorable one. If you have any special requests, such as providing the limousine with balloons, chocolates, flowers or any drink of your choice, then please do not hesitate to ask. However, we do stock the mini-bar with 6 bottles of complimentary bubbly or soft drinks to help you enjoy your limousine experience. 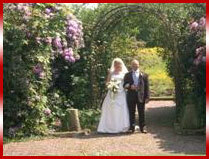 Luxury Limousine hire in the midlands. Party in style. 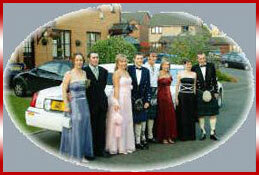 Limo Hire Sheffield.